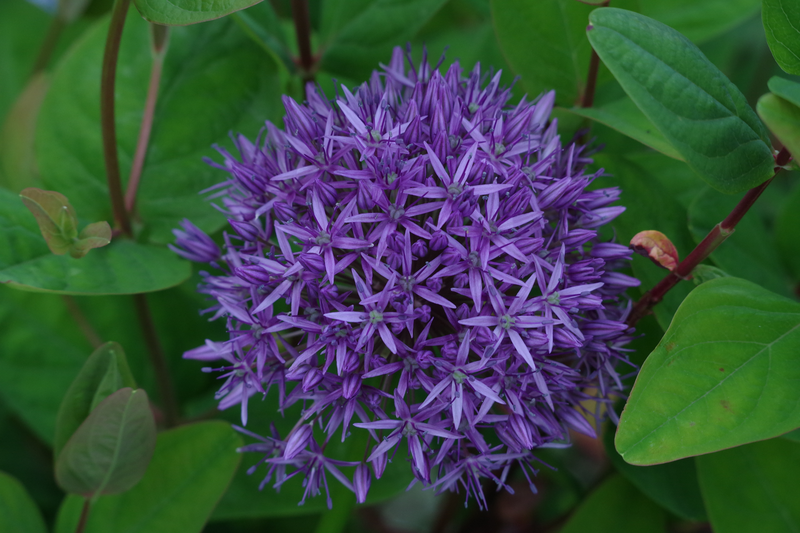 allium | Phil – Refuelled! Despite the longer hours of daylight we’re enjoying at present, sometimes it gets late before I get round to photography. 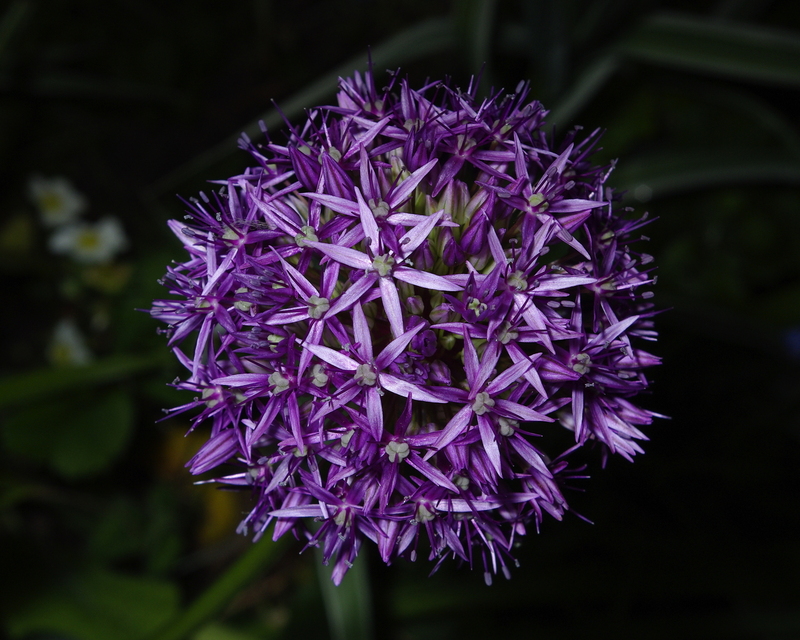 This shot of an allium was taken with a separate flash unit, held just to the side. I wanted to get a picture of this one in full flower and before any damage by wind and rain! The power of the flash allowed me to use a small lens opening (large f-number) giving better depth of field. Have I said before, how I love the colour purple…?